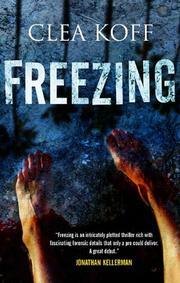 A macabre car accident kicks off a forensic investigation that leads from the West Coast to the East and beyond. No matter how drunk you are, nothing sobers you up like the sight of body parts falling out of the van you just hit. When forensic anthropologists Jayne Hall and Steelie Lander, missing-persons profilers and partners in Agency 32/1, are called to the scene by Scott Houston, the old friend who’s recently been moved from Atlanta to the Los Angeles FBI, they make an even more gruesome discovery. The body parts in question not only belong to several different women, but they’re just thawing; the van driver, whoever it was, must have been keeping them in a freezer. With that, the search is on for a coast-to-coast murderer who may just be the same man Houston failed to catch in Atlanta, a practiced killer of prostitutes. Soon enough Houston and his partner Eric Ramos find the van in nearby Maricopa County, but not, courtesy of a whopping coincidence, the killer they’re seeking. It looks as if all roads may lead to Atlanta after all—unless they lead back even further, to the wake of the Rwanda genocide a decade ago. Forensic anthropologist and memoirist Koff (The Bone Woman, 2005) isn’t much of a stylist, but if you thrill when you hear that “this is where Steelie does the odontograms and the biometrics and we digitize relevant photos,” the promised series may be your meat.